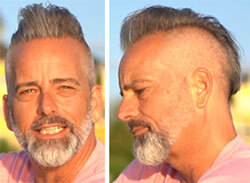 Captain Bad Hair features in some other Tycoon69 marketing videos and I eventually identified him as Stefan Hostettler. 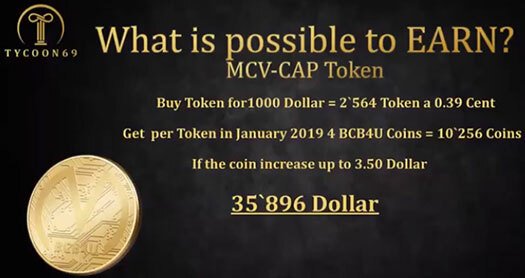 According to explanations from one of the top Tycoon69 affiliates, each holder of BCB4U coins becomes also holder of the equivalent amount of the gold (in his possession). No mention how this equivalent is/will be specified, no explanation how transactions will be carried out. Need to say, I found no mention about the gold in MSV-CAP whitepaper nor website. Pro tip: if your MLM scam of choice takes its name from a sexual position, you’re going to get shafted. I’ve got the same idea. 😉 But I would say “you are going to be f*cked off”, I did not know the word “get shafted”. Not sure where the idea of 69 same from. Maybe because Stephan’s phone number is +41 XXXXXX9 69 69? And why he chose such “easy to remember” number? Or because he saw similar name at a car rental service in Asia? Who knows (least important question in this business). In one of the Tycoon69 marketing videos I came across, the explanation was that the 69 came from the PowerBoost value of 6.9 eur. 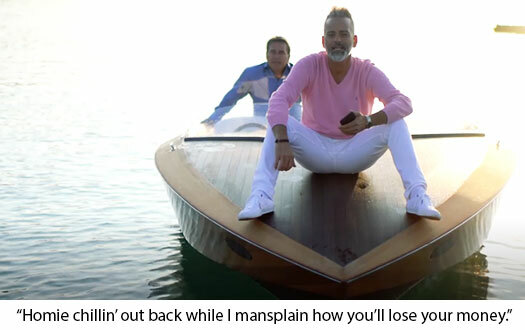 All the cool scammers have it…..
what Haircut are your referring to.. the one in which you get when you join or the one in the picture on the boat?? Its fraudulent activity company X1 Business AG, having its registered office in Switzerland, was removed from the commercial register on May 23, 2014. It must be correct: “Guarantee of the Founder – with over 23 years of experience in international fraud”! Mr. Czech, are you see date on google map, when you check this adress. Open and you see year 2014. More than 4 years ago. Of cose ,there no building. Just plot. Liga Golightly: Mr. Czech, are you see date on google map, when you check this adress. I’ve checked Google Earth and I was able to trace the development of the area till the end of September 2015… something new has been being built there, in the corner of Eimatt, Juch and Kantonsstrasse. But the place still looks to me more like rural (service) area or light industry / processing /storage / service hall facility. Rather than “financial city”. I really don’t expect new “bank” or other financial institution located in a farmland greenfield area. Even in the country famous of banking (Switzerland). Tycoon69 AG was registered on October 5, 2018 in the Swiss Commercial Register. The Chairman of the Board of Directors is Dorothea Juvet-Kossel, her husband Christian Juvet is a simple member of the Board of Directors. That is the outer shell of this scam, because a public company (German: Aktiengesellschaft) always seems to be reputable in Europe. Most people do not know that you can start or buy a stock corporation in Switzerland for about 800 euros. Inclusive of all formalities. However, actual leaders of the Tycoon69 scam are these four people. The head of the gang is undoubtedly Stefan Hostettler. Can you read German texts? Yes… and this link DOES work. Thanks! Tycoon69 is business partner bank MCV-CAP. No scam but absolutly legal BUSINESS in future with bank protect produkt and more. Tycoon69 == MCV-CAP. It’s the same company. Selling unregistered securities is a scam because it’s a fraudulent business model. Not withstanding the use of newly invested funds to pay existing investors. Some EU shell companies and a “produkt and more” don’t change that. By accident, I have seen in my mailbox your email again. Tycoon69 as a distributor for the Blockchain Bank BC4U is moving rapidly into the future. On June 1st the event starts in the Salzburg-Arena. The banking business then starts with the Superwallet. I hereby give you once more the link for the presentation, from Monday to Saturday at 20.00 clock, watch the presentation several times.